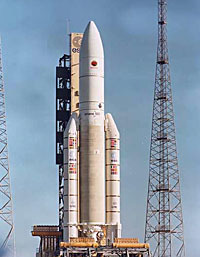 After the green light given by a Launcher Qualification Review, chaired jointly by the European Space Agency and CNES, the maiden flight of the new Ariane 5 launcher took place on 4th June 1996. 30 seconds into its ascent, at an altitude of 3700m, the launcher suddenly veered off its flight course, broke up, and exploded. The stringent safety measures that are always enforced at every launch from French Guiana ensured that neither people nor property were at any time endangered. But ESA and CNES had to pick up the pieces to understand the reasons for the failure. The Inquiry Board reported back on 23rd July. It confirmed initial suppositions that the failure was caused by the complete loss of guidance and attitude information 37 seconds after the ignition of the Vulcain engine. Ariane 5 had - in a paraphrase - been deprived of its basic faculties: its perception of where it was in the sky and in which direction it was to proceed. An equipment called the Inertial Reference System (SRI) upon which depends the flight control program, had not been able to cope with the new vehicle's flight characteristics. 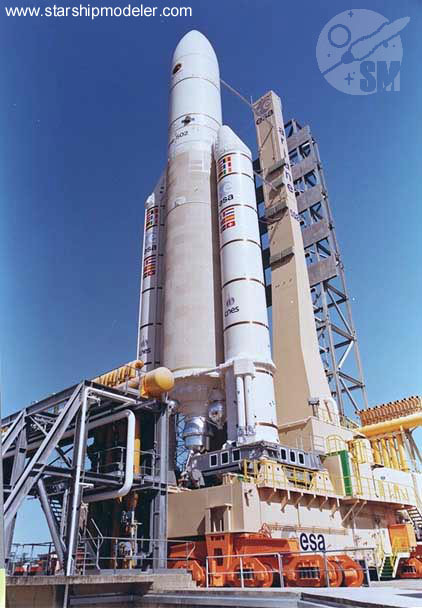 The Inertial Reference System that had been used was that of the Ariane 4. But with Ariane 5's different flight trajectory, the increase in horizontal acceleration is much greater that of Ariane 4. Because of this the SRI memory banks were quickly overloaded with information that could not be processed and fed to the onboard computers fast enough. 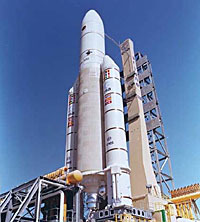 The flight control program could thus no longer ensure the correct guidance and control and from that instant the launcher was lost. Following the official inquiry, Aerospatiale was given the additional responsibility of a global reappraisal of all the vehicle's computer systems and software, even those that had functioned normally on the A501 mission. There followed a complete check and not one line of computer code was left unturned. But the verifications were taken even further. 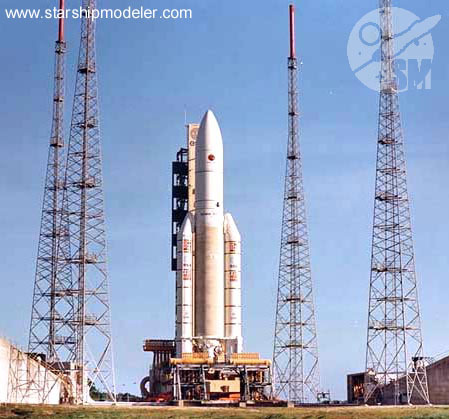 The deepest entrails of all the launcher's electrical systems were submitted to renewed analyses. This examination took some 16 months and no other significant anomalies were discovered. 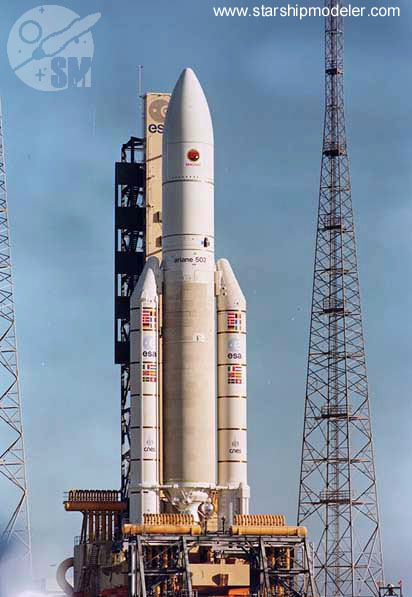 But the entire Ariane 5 launcher benefited from several improvements to its software and hardware, so becoming more robust in the event of minor problems and in extreme cases of mechanical stress. 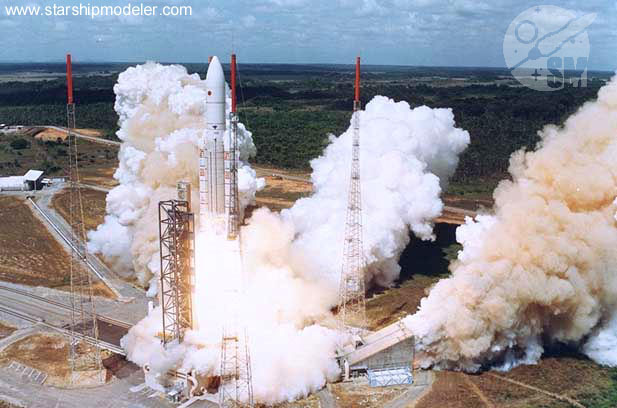 Following a Flight Readiness Review in early June 1997, the Director Generals of ESA and CNES were able to give the go-ahead for the start of the Ariane A502 flight launch campaign. Objective : a liftoff at the end of October. 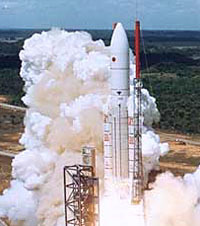 The 17 months of effort after the June 1996 failure paid off on 30th October 1997 when Ariane 5 fully completed its second qualification flight. There was, however, some suspense during the flight when engineers realized in real time that the launcher was being submitted to an excessive roll after separation of the solid boosters and up to the end of the cryogenic stage flight. Despite this roll-torque, the upper stage flew correctly. However it did not succeed in recovering all the velocity necessary for the specified injection into orbit. 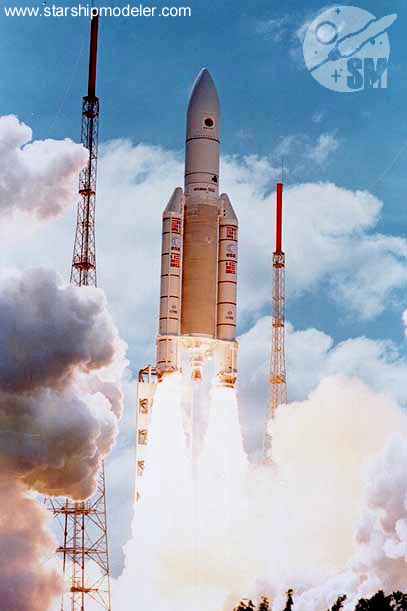 All the telemetry measurements were available and Ariane 502 had been successfully tested more than foreseen. There was a secondary objective to the A502 qualification flight. 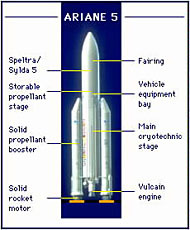 It had been planned to attempt to retrieve the solid-propellant boosters for examination. Such recovery operations are planned regularly during commercial exploitation. Unfortunately, the A502 attempt was not successful. An insufficiently robust cover at the summit of the boosters had failed to protect the parachute deployment system. Finally, the A502 flight data revealed excessive shock levels on the lower-placed payload generated by the different separations during the flight, particularly that of the cryogenic stage. A special shock-attenuator device was later fitted for the A503 mission for measurement purposes. Data collected, together with ongoing studies, will enable the launcher to fully satisfy the requirements, in this respect, of commercial missions. 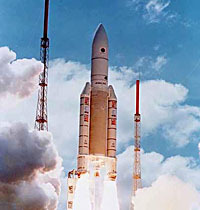 The second qualification flight of Ariane 5 provided a wealth of data to correct these deficiencies. 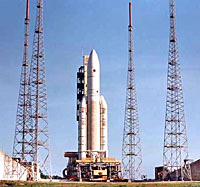 Above all, the mission globally proved the excellent performance of the new launcher: propulsion was up to expectations, the general aerodynamic stress levels borne by Ariane 5 were lower than expected - and the roll-torque proved the robustness of the Attitude Control System confronted with an unexpected situation. Click on any of the three images below to see a larger version.